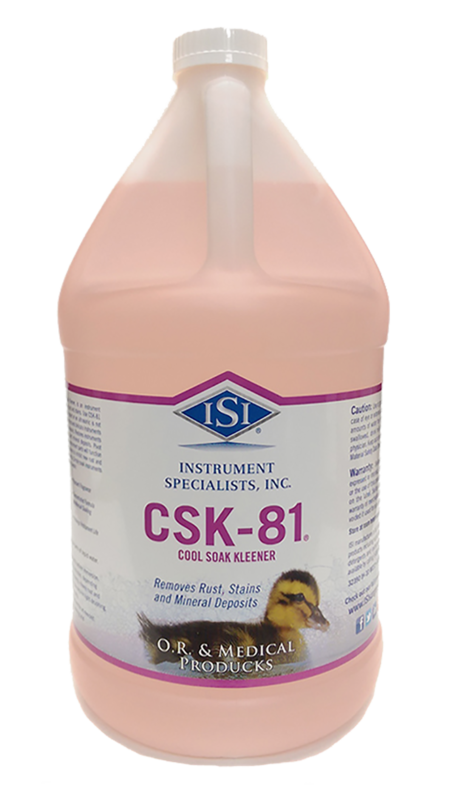 Cool Soak Kleaner (CSK-81®) is a Rust, Stain & Mineral Deposits Remover for Medical & Dental Instruments, as well as any Stainless Steel items in Manufacturing, Home, Garage or Garden. CSK-81 is the best and most convenient soaking solution for rust and stain remover in the industry. CSK-81 will inhibit new rust and extend the life of your Stainless Steel by removing rust, stains and mineral deposits. Pivot points, box joints and moving instrument parts will function better and CSK-81 leaves no residue. Simply soak as directed and allow CSK-81 to do the dirty work for you!